Price Reduced to $580,000, this is brilliant value! 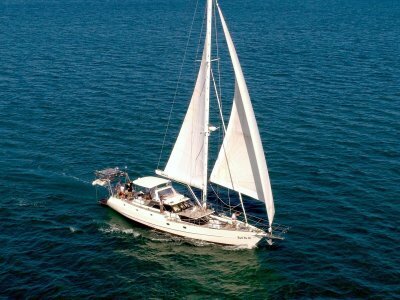 This 2011 launch Beneteau Oceanis 58 offers Style, luxury, comfort and technology. 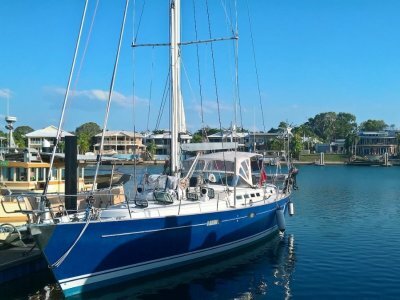 Australian registered and ready to go cruising with a powerful 140 HP VW shaft drive diesel, bow thruster, 3 blade feathering propellor, underwater lights, 9.5 KVA genset, airconditioning, watermaker, bimini, dodger, electric winches, Selden in mast furling mast with triradial mylar mainsail, furling #2, staysail, code zero, assymetric spinnaker in sock, ice maker, washing machine, Raymarine instrumentation with 2 E120 plotters, pilot, radar, fishfinder, camera, Thrane and Thrade Sat phone, safety gear, spares and everything else you would would expext on Beneteau's former flagship Oceanis. A gorgeous getaway with absolute water frontage. White walls, skylights, mahogany cabinetry and supple olive-grey leather lounges create a relaxed living space with an architectural designer feel. Hide away television and miniature Bose speakers mean your entertainment remains out of mind. And a wrap-around galley with all the appliances of home makes entertaining easy. Every space is generous. From the cockpit to the cabins; from the sundeck to the showers. Despite all the comfort, performance is excellent. 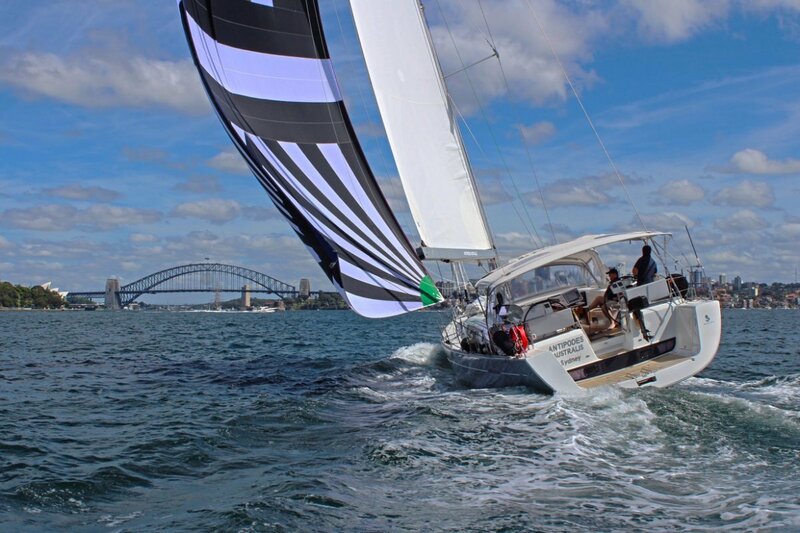 Low resistance and long waterline will rapidly chew up the miles. 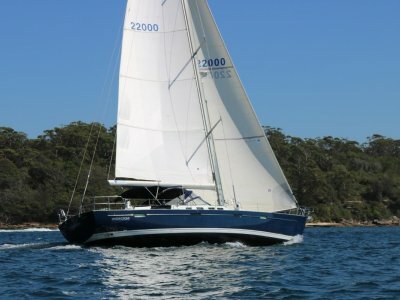 Electric winches and mast furling headsail make light work of sailing, especially if you're light-handed. 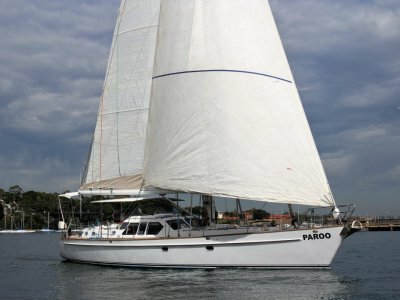 In this beautiful, well thought-out cruiser, you'll enjoy love the journey and the destination. Dodger, bimini, cockpit cushions, wheel. U-shaped galley with Corian benchtops and mahogany cabinetry. Double stainless sinks with flick-mixer kitchen style tap, microwave. Separate Ice maker. Dishwasher. Refrigerator. Freezer. 3 burner gas stovetop with large oven and grill and range hood vent with lights. Anodised Furling mast Stainless wire rigging Fractional rig. Triple spreader Seldon boom Seldon Boom Kicker All lines running back, under deck cover to cockpit.